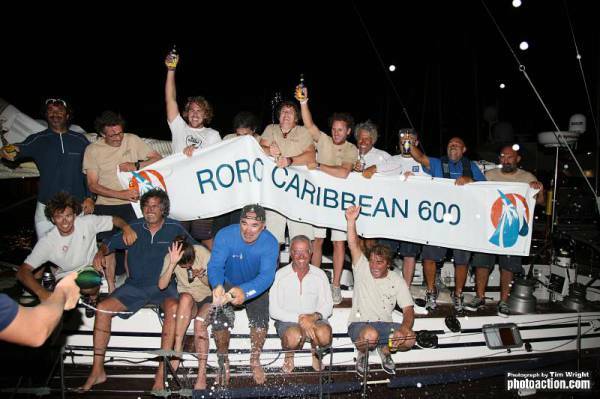 In less than six months, the 5th edition of the RORC Caribbean 600 will start in Antigua. The race attracts a wide variety of yachts from all over the world, including ocean going performance cruisers and some of the world's most magnificent yachts. 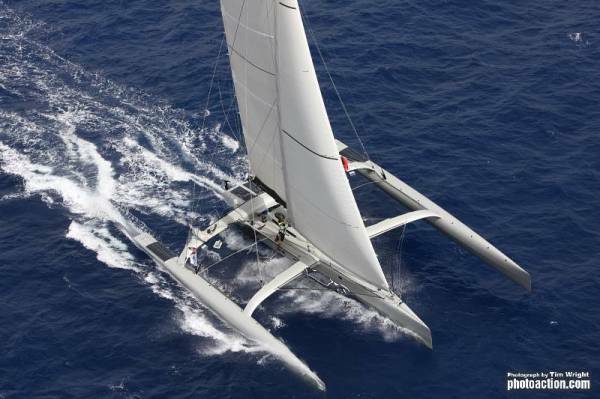 The first confirmed entry for this year's race was Joseph Mele's Swan 44, Triple Lindy. Joseph is a member of the City Island Sailing Club in New York and competed in this year's Newport to Bermuda Race. Triple Lindy is making her debut in the race but Local Antiguan dentist, Bernie Evan Wong is back with High Tension. His Mumm 36 is the smallest yacht in the race so far and the only yacht to have competed in all four previous editions: "I just love it for the challenge. We won't be the first to finish but I know we will get a warm Antiguan welcome just like everybody else. I am looking forward to the race just as much as the first one." 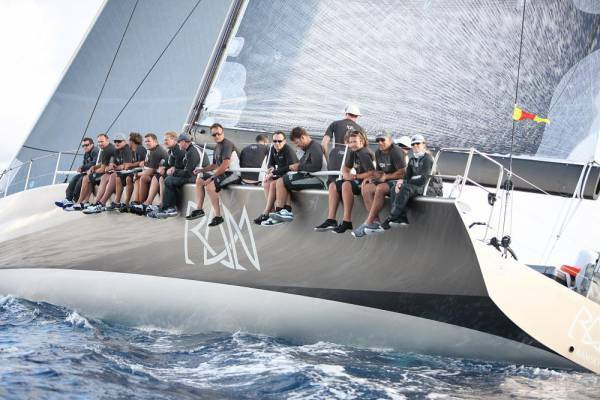 Five stunning superyachts took part in the 2012 edition of the RORC Caribbean 600 and there is every indication that at least that number will be racing next February. 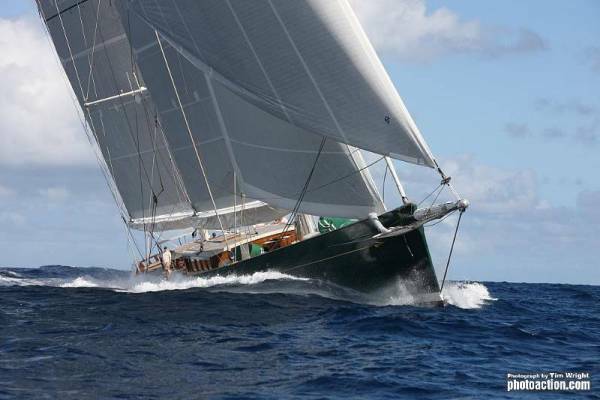 The 215ft carbon fibre ketch Hetairos took overall line honours in 2012, taking just over 50 hours to complete the course and she is expected to be back in Antigua for the 2013 edition. The 203ft schooner Athos is expected to be on the start line, as is the 180ft schooner, Adela. Athos' Boat Captain, Tony Brookes said that the team are very keen to take part: "Athos was commissioned just 18 months ago so we are still getting to know her. For the Caribbean 600 we would take a crew of 25 and with 3,000 square metres of sail area downwind, we need every one of the team for sail handling. We hope to give Adela a run for her money and enjoy some wonderful sailing." 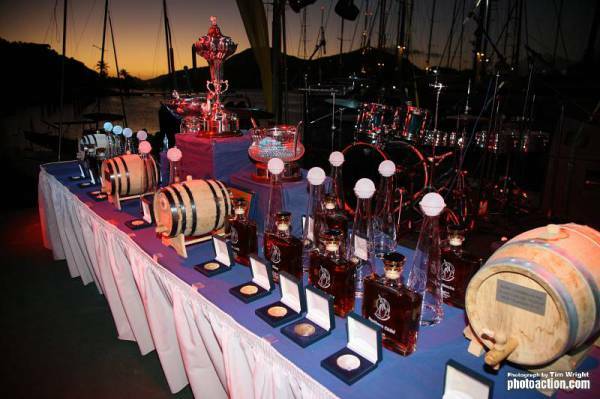 The fourth edition of the RORC Caribbean 600 hosted by the Antigua Yacht Club was a sensational success. The Caribbean's only offshore yacht race attracted some of the world's most fabulous yachts as well as corinthian entries. 578 sailors from 35 different countries took part in a memorable race. This year, the race attracted a truly international field including a number of world-class Spanish sailors racing on Volvo 70, Gran Jotiti, and Swan 56, Clem. There were also a significant number of Russian sailors, no doubt enjoying getting away from the cold Russian winter. Oscar Konyukhov's 90ft Maxi, Med Spirit, crewed by amateur Russian and French sailors, put in a great performance against fully professional competition. Anders Nordquist, owner of Swan 90, Nefertiti, was taking part in his first ever offshore race and loved every minute of it. It has been a busy 24 hours at the Antigua Yacht Club. At dawn on the fifth day of the RORC Caribbean 600, only three yachts were still at sea vying to complete the course before tonight's Prizegiving celebrations and all of the class winners are now provisionally decided. The bar at the Antigua Yacht Club has been in full swing, buzzing with stories between the crews and songs in a myriad of different languages. Team Selene skippered by Benjamin Davitt finished yesterday morning. The Swan 80 sailed an excellent race to claim third place overall and will lift the prestigious Swan Caribbean Challenge Trophy later this evening. At noon on the fourth day of the RORC Caribbean 600, Niklas Zennström's JV72, Rán look to have clinched the overall win and will lift the sterling silver RORC Caribbean 600 Trophy at tomorrow night's Prizegiving ceremony. This morning Scarlet Logic, co-skippered by Ross Applebey and Tim Thubron, was the only yacht which posed any sort of threat, but realistically the Oyster 48 will not cover the last 70 miles of the course by 17:40 local time today. All of the yachts racing in IRC Zero are now accounted for. Rán are the class winners with George David's RP90, Rambler, in second place. Swan 80 Selene, skippered by Benjamin Davitt, finished the race this morning to secure third place in class and possibly lay claim to the Swan Caribbean Challenge Trophy. Both Adela and Windrose capture the imagination of years gone by. In spectacular surroundings the golden age of the schooners was recreated in an epic battle between two magnificent yachts and just before dawn on the fourth day of the RORC Caribbean 600, the gentlemanly duel was settled. The wondrous 180ft schooner, Adela crossed the finish line to take the gun just 1 hour and 42 minutes ahead of great rival, the 154ft schooner, Windrose of Amsterdam. The two schooners had enjoyed an intense battle around the 600-mile course with the two yachts trading places for the lead on eight separate occasions. 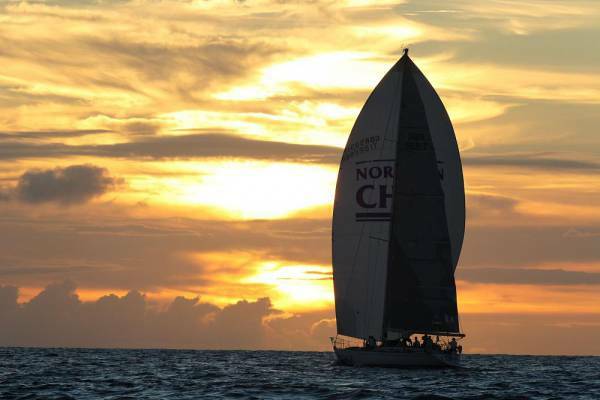 "The RORC Caribbean 600 is a race that really suits schooners. There is lots of reaching involved rather than upwind, so I suggested to the boss that this would be great race to do. Unfortunately the owner could not come due to work commitments but one of the owner's business friends came aboard as a guest and I think he thoroughly enjoyed it and he fitted in really well and enjoyed the experience." Peter Harrison's 115ft ketch, Sojana and Gerhard Andlinger's 124ft sloop, P2 have never done battle before in an offshore race. 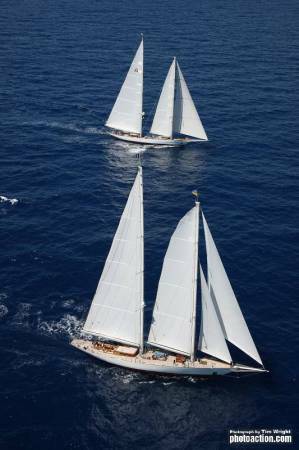 The two magnificent superyachts had a 600-mile match race around the entire course. P2 were the first home by just over 13 minutes in a race lasting over two and a half days. However, Sojana was well over an hour quicker than P2 after time correction. The two skippers, Marc Fitzgerald and Jonathan Kline spoke dockside, as the two yachts finally came to rest in Falmouth Marina. "We don't often have a match race on Sojana, we try an avoid it to be honest, especially when you are up against someone as good as Peter Holmberg who was at the wheel of P2. However, we ended up with a match race all the way around the course. P2 got away at the start, basically because they were much quicker in the light upwind but we reeled them in on the reach to Barbuda." 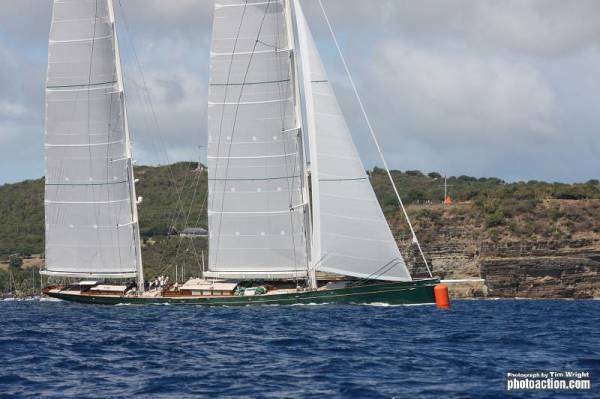 The 214ft superyacht Hetairos skippered by Vincent Fauquenoy, crossed the finish line in Antigua on Wednesday 22nd February 2012, completing the RORC Caribbean 600 in an elapsed time of 2 days 2 hours 39 minutes and 32 seconds to claim Line Honours. The monumental ketch was well outside the record time set by Rambler 100 last year, however the international team aboard Hetairos were all smiles as they were greeted by well-wishers and a cacophony of horns from megayachts in Falmouth Harbour. "I have to say, I am genuinely surprised that we were the first yacht home. I honestly thought that we wouldn't take Line Honours before the race. Hetairos and especially her sails are not optimized for racing on a course like the '600. Also I thought that from a navigators point of view, I got a few calls not quite right. However, we did have a few decisions work out for us by chance and I would always say it is better to be lucky than good! For example, we went inshore behind Guadeloupe, to change a sail in flat water and by chance we got a big lift in there. Last year I did this race on a Class40 in a lot of wind, so I have experienced some big contrasts but I really enjoyed this race, an illustrious fleet with great people and a big atmosphere." 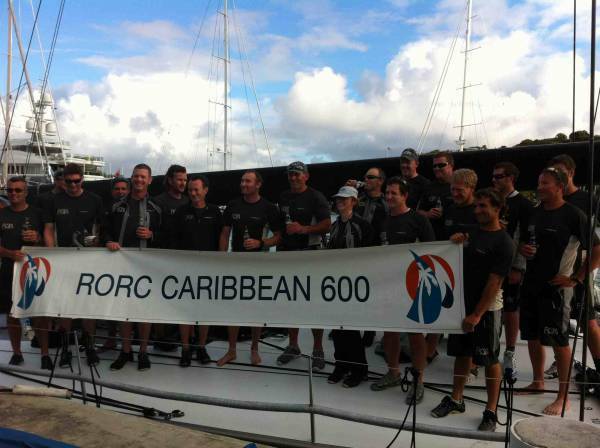 Rambler and Rán have now finished, Rán is currently sitting first in IRC Overall for the 2012 RORC Caribbean 600. 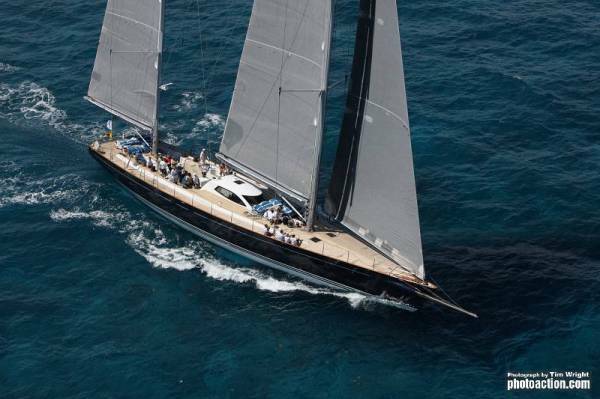 The 214ft superyacht Hetairos skippered by Vincent Fauquenoy, crossed the finish line in Antigua on Wednesday 22nd February 2012 completing the course in an elapsed time of 2 days 2 hours 39 minutes and 32 seconds to claim Line Honours for the 2012 RORC Caribbean 600. Full press release to follow. Last night, the leading yachts in the RORC Caribbean 600 were approaching Guadeloupe, rising to 1,467 m (4,813 ft) above sea-level, the island produces the most significant wind shadow on the 600-mile racecourse. The 214ft Baltic ketch Hetairos was the first yacht to Guadeloupe at sunset, powering through the crystal blue waters at 18 knots. George David's RP90 Rambler were just over a mile behind; the crew fully hiked with the big gear up, blast reaching after their monumental competitor. With no moon and substantial cloud cover, the two yachts were sparring for line honours in the pitch-black dark of night as they passed the Soufrière volcano. At first Rambler followed the leaders line but after passing Les Saintes, Hetairos tacked offshore and Rambler did not follow. The defining moment came as Rambler lost speed at La Desirade. Hetairos escaped into the open air of the Atlantic and gained 16 miles on Rambler, a lead that Hetairos is unlikely to give up. Rambler and Hetairos are expected to finish the race early this afternoon.